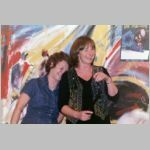 Lynne and Pat are no strangers to the club both have long pedigrees of singing and playing with various groups. As a duo their repertoire ranges from the tradition to music hall and contemporary ditties. Their sense of fun is shared with the audience and they give you plenty of opportunity to join in.